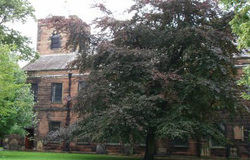 St Cuthbert's, a beautiful 18th century church, is in the centre of Carlisle at the end of Blackfriars Street near Carlisle Cathedral. The church is accessible to wheelchair users. The West Walls car park is the nearest to St Cuthbert's. There is no charge after 6.00pm. This car park is closed overnight between 11.00pm and 6.30am and the charge for vehicle release during closure times is £45.00. Please note that steps lead up from the car park to West Walls itself. There are some on-street parking spaces in the city centre and some disabled parking spaces are available on West Walls.